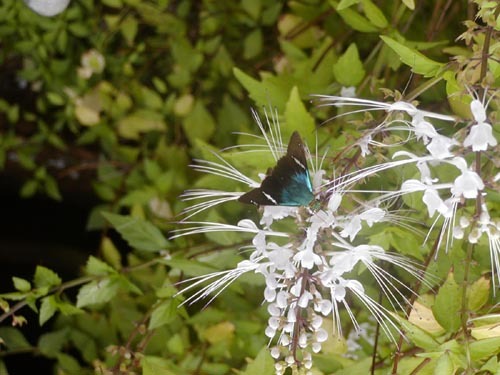 TWO-BARRED FLASHER ON CAT'S WHISKERS: Increasingly, butterflies and dragonflies are targeted by ecotravelers in the Valley. We've put in butterfly gardens at CSA, which attract many of the common species and sometimes the not-so-common. Recent finds in the latter category include the following unphotographed varieties: Ruddy Hairstreak, Spot-Celled Sister, and Ruby-Spotted Swallowtail. 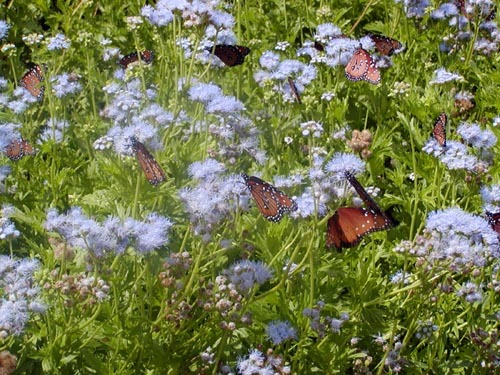 And several QUEENS on Blue Mistflower in Casa Santa Ana’s butterfly gardens. These are just two of the many species found in the Valley. The much sought after Red-bordered Pixie is often found at CSA, thanks to a grove of Guamuchil (their larval host plant) put in to attract them. 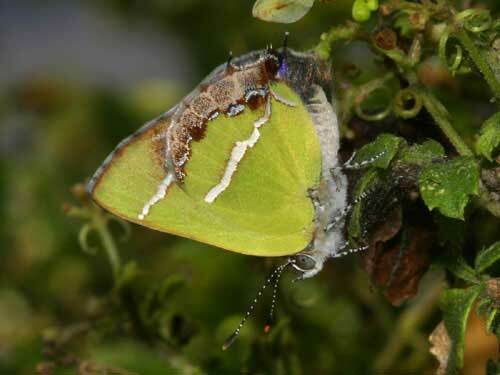 A hard-to-find specialty called a SILVER-BANDED HAIRSTREAK. His (or her) wings are only about a half inch long, and the coloration closely matches the balloon vine on which it lays its eggs, so finding an adult butterfly can be frustrating. But as is commonly the case when searching for elusive creatures, patience—or is it stubbornness?—pays dividends. Sometimes. 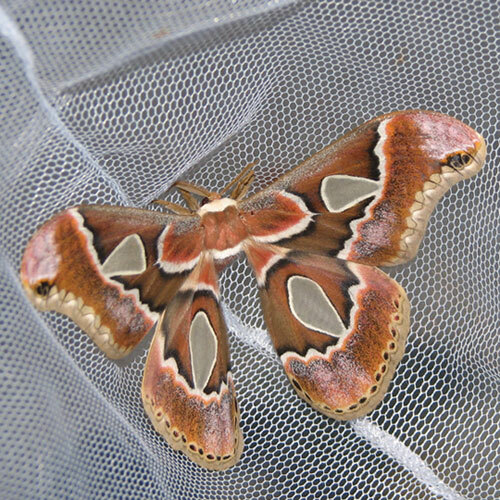 This spectacular fellow is a FORBES SILK MOTH. We find a few every year around the yard, but not often. The picture doesn't really show it, but the whitish tear shaped markings on the wings actually are clear—you can see right through them. Interestingly, even folks who've become enamored of butterflies only infrequently check out the moths, but in fact there are many more moth species and many of them are as elegant and beautifully detailed as any creatures Mother Nature has on her roles. We often leave the lights on over the parking area overnight, and in the mornings thousands of moths of all descriptions are clinging to the walls near the lights.